Associated legislation for design and function of a staircase. Staircases can be purely functional or they can double up as decorative devices, especially when used as the central feature of an entrance hall or lobby. Legislation and regulations govern the manufacture and position of stairs within a building according to its function. This makes it vitally important to engage specialist staircase manufacturers at an early stage. 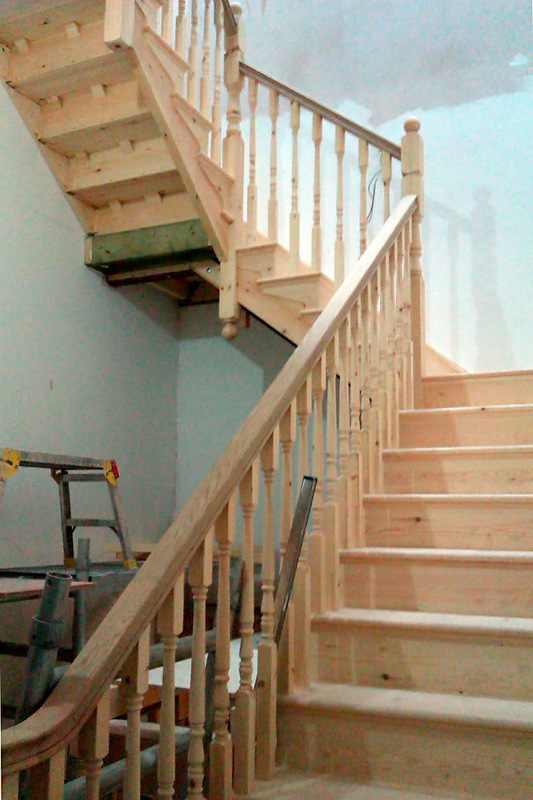 If your existing stairs are sound but unfashionable, we can transform their looks by adding or replacing parts. A popular choice is to change old-style ranch rails with turned newels and spindles, for example.